The Christian Association of Nigeria (CAN), in the 17 Southern states, has raised fears that the conduct of 2019 general elections was under serious threat considering what it called the total collapse of security architecture in Nigeria. The Christian body stated this as reactions continued to trail the killing of over 100 residents of Plateau State by suspected Fulani herdsmen. 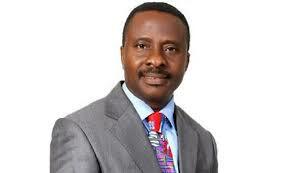 Secretary of the CAN, Dr. Joseph Ajujungwa, who spoke to journalists, in Enugu, said the Christian body was worried that several days after the attack, no concrete effort had been made towards arresting the perpetrators. According to him, “CAN is saddened that many days after that avoidable massacre of innocent Nigerians in Plateau State, government is still telling the same old-fashioned stories. Ajujungwa said it was more lamentable that whereas government had never prosecuted any of the AK-47 wielding-herdsmen who had murdered hundreds of Nigerians, it rushed to convict to death five Christians for allegedly killing one of the attackers. “There is grave injustice in this country and they are not even pretending about it. These people are using AK 47 killing everybody; almost 200 were killed, in Jos, but the police never arrested any, army never arrested any, and we are saying there is security, there is no security in NIgeria. We are calling on the Federal Government; if we have security, let them rise to the challenge. “This is not good for this democracy, especially at a time we are preparing for election and such thing is happening. “I don’t think it is to the best interest of Nigeria. It is putting the election in jeopardy,” he regretted. Dr. Joseph Ajujungwa of CAN, should stop beating about the bush. He ought to be bold enough by calling a spade a spade. It is indeed a coordinated action right from the Office of the Caliph of Sokoto and President Buhari is one of the Grand Patrons of both Associations mentioned above. .In a nomal clime, this so called MACBAN ought to have been designated as a terrorist organization a decade ago, when the Fulani Jihadist Killer Squads went after the Beroms and other Indigenous Christian Minorities of the Middle Belt. head on by all of us Indigenous Nigerians. At this juncture, the ultima ratio is for people like Dr. Joseph Jujungwa of CAN to match their rhethorics with some punitive actions like mobilizing Nigerians to march in protests and by allerting the world at large. We can no longer sit back folding our hands, while these daily pogroms and ethnic cleansings continue unabated in the North. murderers are alien sojourners here in our Fatherland. Of course, the Fulanis are nomore Nigerians than the Afrikaans (Boers) are South Africans. No to the status quo ante bellum! Down with Hausa/Fulani/Kanuri Islamic Hegemony! !